Coffee drinkers, start your engines! 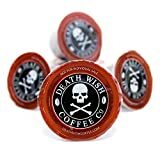 National Coffee Day was officially this past Saturday, September 29th, but Amazon knows that true coffee fans need their coffee on Mondays more so than any other day. That’s why Amazon saved its best National Coffee Day deals for today! 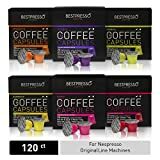 You’ll find killer deals on some of the hottest coffee in the country, from Death Wish Organic USDA Certified Whole Bean Coffee and Death Wish Coffee Single Serve Capsules for Keurig K-Cup Brewers to Bestpresso Coffee for Nespresso OriginalLine Machine and plenty more. 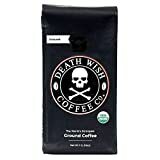 And yes, today’s sale includes a nice discount on the world’s strongest coffee. There are 13 deals in all and you can shop the entire sale right here, and you can check out some of our favorite deals below.